Talking about retirement calculations, the myriad of options and possibilities can make your head spin.Â Interestingly, in addition to savings and investment vehicles, the considerations even include which state will be that of your primary residence. With respect to wealth strategies, having a specific and concrete plan is the best first step. Online calculators can be tremendously useful in gaining a clear picture of where you currently stand. Provide the necessary information into the dedicated data cells: current age, income, anticipated retirement age, existing savings and investments, and percentage of your income as your post-retirement nest egg. Your self-planner then presents you with the probability that you can reach your goal, given your existing plan. Social Security benefits are technically included among line items in any well-structured retirement strategy. However, they tend to be a relatively small contribution, which are not necessarily guaranteed. When it comes to guarantees, it turns-out that there are few.Â When figuring retirement calculations, the best contribution strategies include substantial contingency plans. Without considering the unexpected, and guarding against the impact of these events, your plans are nowhere near bulletproof. Inflation is a concept many dismiss as almost out-of-date. In reality, inflation can become a limiting factor at virtually any time, and may subsequently erode your solvency more rapidly than your nest egg is able to grow from dividends and interest. This risk is compounded when considered in conjunction with the existing high cost of quality health care, and significantly affect your retirement calculations and progress. 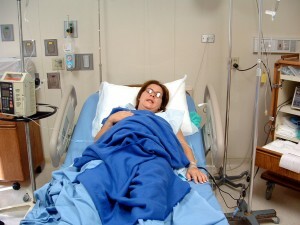 Unanticipated family illnesses or injuries can create stressful emotional circumstances and financial burdens as well. Depending upon the severity of the situation, and the amount of fiscal insulation you have accumulated, such a trauma can very quickly dip in and dig through resources. This can easily happen, regardless of the planning effectiveness of your calculations on your retirement. It is always preferable to remain healthy and have a surplus, rather than encounter a life-altering challenge that greets you completely unprepared. Of course, market crashes and pension disappointments can be a challenge for existing personal retirement calculations as well. Again, remember that what you expect may not actually be guaranteed, and this will help you to plan accordingly. No one else will ever be as invested in protecting your future as you are. Interestingly, there are even states that are statistically shown to be the top ten to avoid for retirement.Â The list may shock some; yet, this is certainly not a factor to overlook.Â Choosing where you will reside is a part of long-term financial planning. Arizona, California, Florida, Illinois, Michigan, Nevada, New Jersey, Oregon, Rhode Island and Wisconsin are all ranked as high-risk locations, due to a potential services decrease despite substantial projected upcoming tax increases. 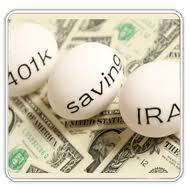 Retirement calculations are complex and significant elements in any intelligent lifelong plan. Being informed about effective investment vehicles and accurate market influences, is vital. Even when professional planners are enlisted to make recommendations and assist with calculations, keep in mind that you are your own best advocate.